In 2007 he signed for Team Slipstream powered by Chipotle and stayed with Jonathan Vaughters’ team for six years. “They did very well with their development team, just like Bontrager-Livestrong does. The differences between European and American riders is quite big. The Europeans have far more skills when they are younger. The Americans learn those skills on the fly when they come and race in Europe. That’s what Chipotle offered and it’s the best thing a young American rider can do. After six years with the same team in his home country of the United States, moving to a foreign team was a big step. However he’s pleased with things thus far. ”It’s a new team with new people but it was a step I was ready for. I feel they have the right philosophy. As a rider I think I have a lot of potential and I need a team that understands that and embraces it. 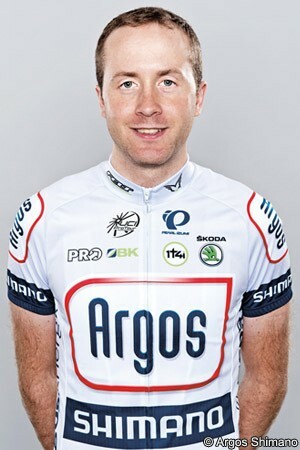 Argos-Shimano does that very well. The fact that they are in WorldTour now is a bonus because when I signed in September I didn’t expect them to be in the WorldTour. Peterson finished the Giro in 2011 and the Vuelta in 2010 and 2012. That leaves one Grand Tour yet to start, the biggest of them all. It’s one of his goals for this year, and something he hopes comes off. “I am definitely hoping for the Tour de France. My name is on the preliminary roster,” he confirmed.